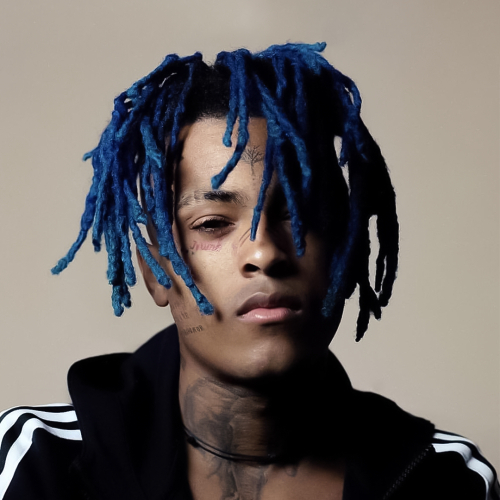 Jahseh Dwayne Onfroy (January 23, 1998 – June 18, 2018), better known by his stage name XXXTentacion, was an American rapper from Lauderhill, Florida. Onfroy was known for his versatility with his music, which ranges from aggressive, punk rock-inspired hip hop, to somber and slower R&B style songs, to even heavy metal. His music is known for the lofi sound quality of his vocals and songs, which normally are distorted and unmastered. His vocal style ranged from singing, rapping, and screaming. Onfroy was also known for his violent outbursts in public life, with numerous arrests related to assault, robbery, and weapon possession. Onfroy's most popular song to-date is Look at Me, which was originally released in 2016 and re-released in 2017, and peaked at number 42 on US Billboard Hot 100. The single helped him gain more popularity in early 2017 due to accusations of Canadian rapper Drake using a similar rap flow in his then unreleased song, now released under the name "KMT", that he previewed at a concert in Amsterdam featuring British rapper Giggs. In July 2016, Onfroy was arrested and charged with robbery and assault with a deadly weapon. After posting bail in early October of the same year, while awaiting trial, Onfroy was arrested again later that month on charges of false imprisonment, witness tampering, and aggravated battery of a pregnant victim. Onfroy was released from jail on bail on March 26, 2017. Onfroy announced his debut studio album, 17 on July 30, 2017. The album released on August 25, 2017. It features 11 tracks and includes the lead single Revenge. Onfroy was shot and killed on June 18, 2018, in Deerfield Beach, Florida.